Mr. Schoenfeld is a partner in the Commercial Litigation and Bankruptcy practice groups of the firm. He represents clients in complex commercial, corporate, financial, intellectual property, and bankruptcy litigation, and has appeared in New York and New Jersey state and federal courts, as well as courts in other jurisdictions and in arbitrations. He also has counseled clients on a wide range of transactions, litigation, and risk management related matters, and negotiated and documented a variety of agreements. Mr. Schoenfeld serves as an Arbitrator for the American Arbitration Association. 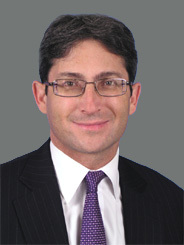 He also engages in extensive writing and speaking on litigation, risk management, practice and professional responsibility issues, and serves on, among other things, the Executive Committee of the Corporate Counsel Section of the New York State Bar Association, as a Trustee of The American Whig-Cliosophic Society of Princeton University, and as a volunteer for the Pro Bono Partnership.